One of the biggest talking points about the new ECB SuperUtes Series has been its relevance to the Australian motoring marketplace. 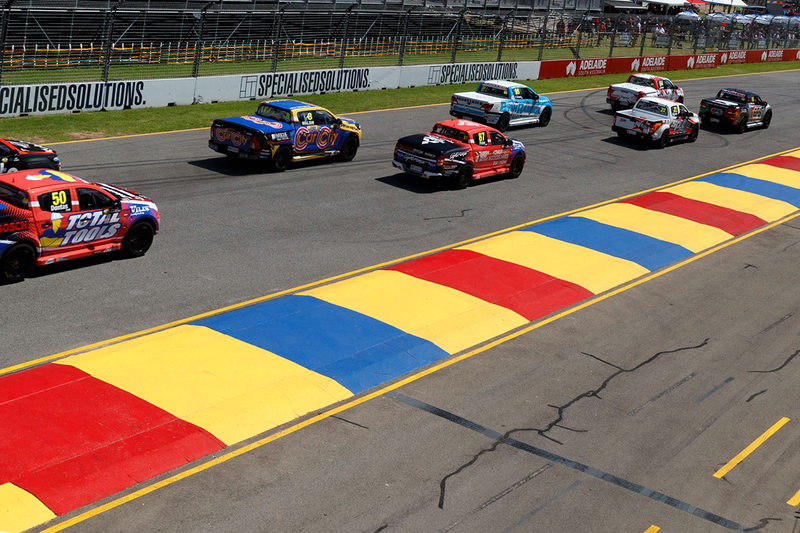 As sales of turbo-diesel utes make up a larger and larger percentage of annual vehicle sales, five brands were on the grid for the maiden SuperUtes round at the Adelaide 500. Models from Ford, Holden, Mazda, Mitsubishi and Toyota will be joined by Isuzu’s D-MAX for Round 2 at Winton, representing a growing cross-section of what’s on the road. 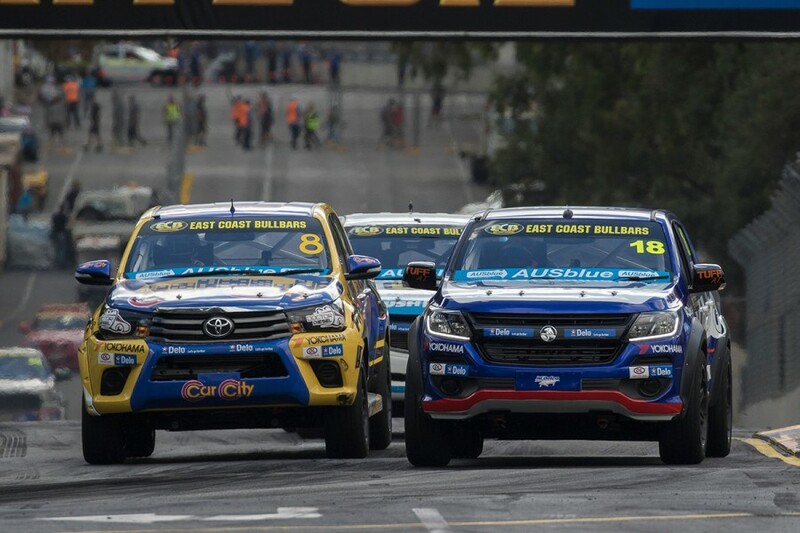 The process of turning a road-going ute into a race-ready vehicle was an exhaustive one, SuperUtes’ Adelaide debut marking the culmination of extensive research and development. The objective was to provide a level, affordable playing field for all manufacturers, and aspects of performance like power and handling had to be similar across all vehicles. It was for this reason that an element of control was implemented by the category. Indeed, it provided an ideal test bed for innovations that will benefit the global automotive landscape; a case in point is the MoTeC-developed diesel engine control unit (ECU). 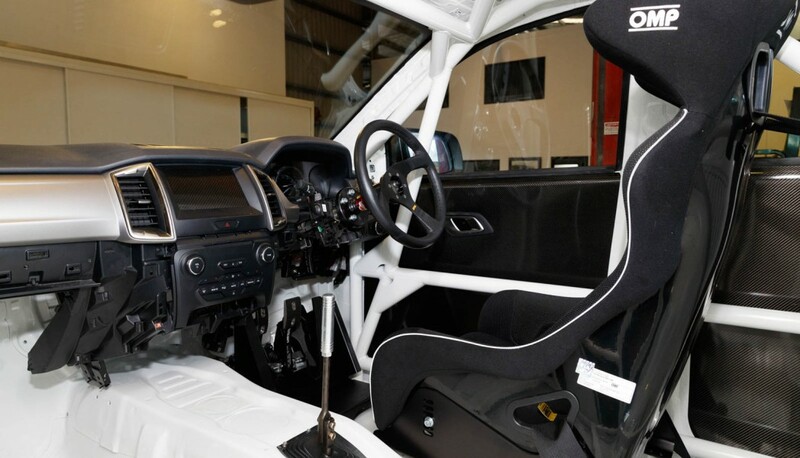 While diesel engines are not new in motorsport – having been used in the likes of the World Endurance Championship and Dakar Rally – the bespoke ECUs for those vehicles have generally been highly-specialised and prohibitively-expensive for everyday customers. Australian engine management and data acquisition system manufacturer MoTeC saw an opportunity to create a product to enable easier and more cost-effective performance tuning of diesel engines. According to its business development manager Pete Swinney, the SuperUtes provided an ideal platform to test and refine the technology. “The idea to create a commercially-available ECU actually came about before the SuperUtes were announced, because we could see a market for commercial diesel solutions, for customers wanting improved performance and efficiency in the trucking industry for example,” Swinney told Supercars.com. “But the SuperUtes provided a very good practical environment for us to learn how to precisely tune diesel engines, and enabled us to identify the huge differences between tuning diesel engines compared to petrol. “Diesel motors are a lot more complicated to tune, because more precision is required. 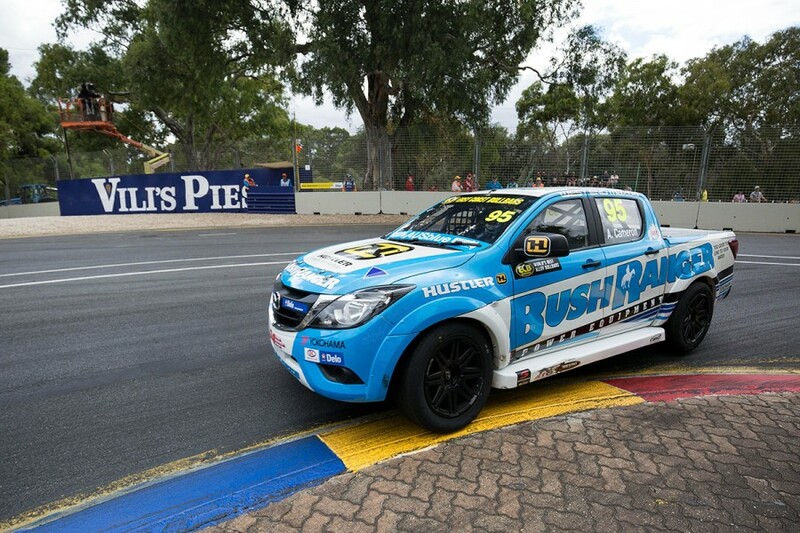 When Steve Wilson’s Isuzu lines up at Winton, it will join Ford’s Ranger, the Holden Colorado, Mazda BT-50, Mitsubishi Triton and Toyota Hilux on the grid. Swinney says one of the main challenges was the electrical integration of the MoTeC ECU into those different vehicles. “When we remove the factory ECU and replace it with the MoTeC we need to communicate with other ECUs in the vehicle to keep them running correctly,” Swinney explained. “This is done via a CAN (Controller Area Network) similar to what you might find in an office where 20 PCs talk to each other and share information. “What makes it difficult is that each model has its own language and the manufacturers don’t release that information. “That means we had to reverse-engineer each vehicle’s language in order for our ECU to plug in and work correctly. Swinney said the brain-frying work was worthwhile when SuperUtes took to the track for the first time at the Adelaide 500. “Normally, it would take us six months to do vehicle integration and tuning work for one vehicle model; we did it for five different manufacturers in that timeframe,” he said. “We worked closely with [Supercars category engine expert] Craig Hasted who headed up the main tuning work on his Superflow Dyno in Queensland. “Craig’s task was to take our ECU and software and tune each engine to make the same power throughout its entire operating range. “That’s not easy when you consider there is more than a 30 percent difference in capacity between the largest and smallest engines in the field. “At that first race in Adelaide, where we had the opportunity to see real race data from all vehicles under the same conditions, we were very happy with the parity across all the manufacturers. With the bulk of the development work now complete, Swinney says MoTeC has a product that is suitable for other applications. “The technology itself isn’t new, but what we’ve done is brought it to a level where it’s within reach of average consumers who want to take full control of their diesel engines,” Swinney said.